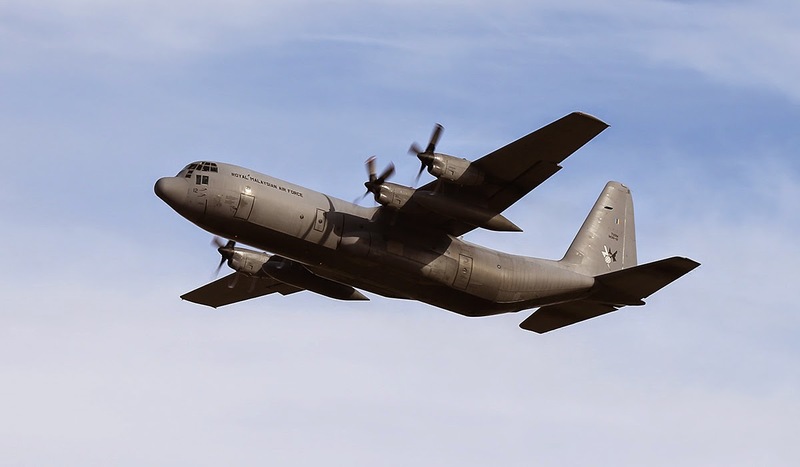 KUALA LUMPUR, -- Malaysia has dispatched two Royal Malaysian Air Force C-130s to the United Arab Emirates (UAE) to evacuate nationals trying to escape the fighting in Yemen. In a statement released on 8 April, Malaysian Chief of Defence Forces General Zulkifeli Mohammed Zin said the two aircraft had left RMAF Subang on 7 April with 43 armed forces personnel and would be deployed immediately in the UAE for the evacuation of Malaysians from neighbouring countries. Gen Zulkifeli said the Malaysian Armed Forces had been planning for the evacuation since the unrest in Yeman unfolded and in particular over the past week to secure the necessary logistical arrangements and air clearances. The Royal Malaysian Air Force Lockheed Martin C-130H-30 Hercules Military transport aircraft.